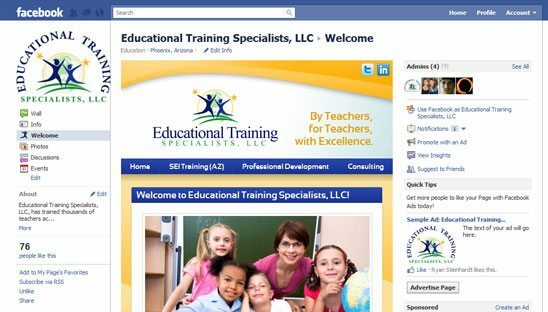 Educational Training Specialists is your one-stop staff development company, specializing in teacher professional development nationwide, SEI training in Arizona, and consulting to ELL programs. We have over 800 testimonials from your peers – educators love our work! All classes can be taken for continuing graduate credit through Brandman University, too! This is a large facebook iframe design. Some sections in this page include: about, video, recent tweets, recent blog post, contact and much more.